One of the most stunning wine cellars in Croatia moved to Zagreb for one night. 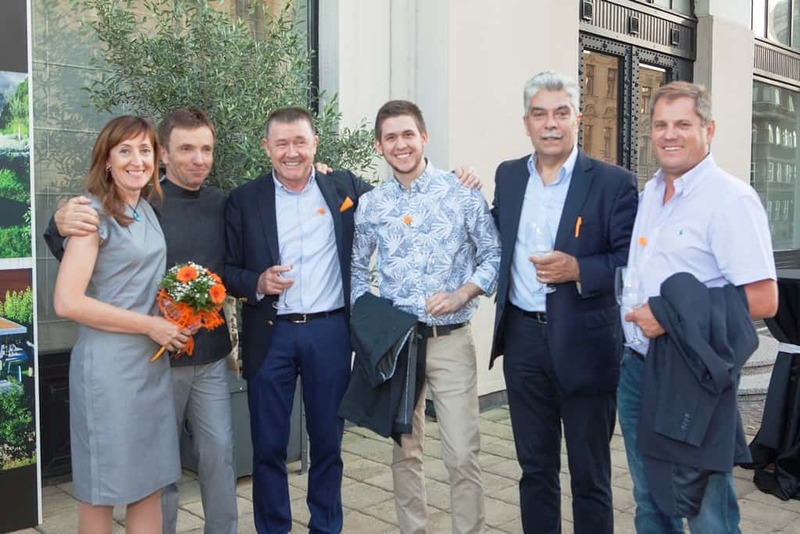 The Oleander Terrace at the Esplanade Hotel Zagreb turned orange, celebrating the colours of the Kozlović winery from Buje in Istra. The Kozlović team displayed all of their 12 labels and presented new label of Santa Lucia White 2015. 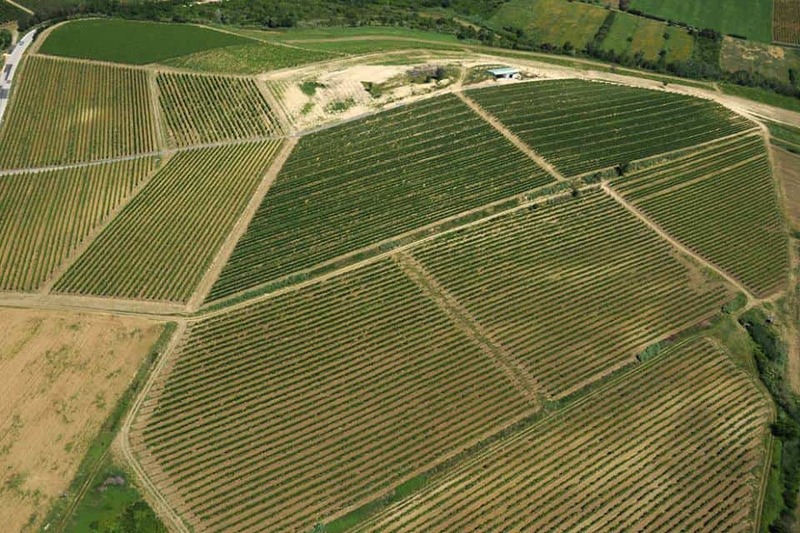 The Kozlović winery is located near a small town of Buje in Istria. Surrounded by the olive groves and stunning landscape, with the fabulous range of wines they produce, Kozlović is a must see when in Istria. 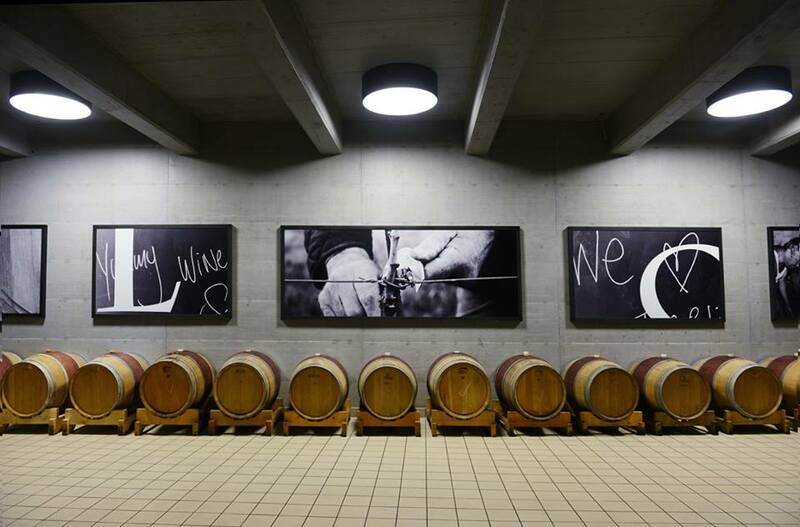 Design and architecture of the winery were featured as one of the best in the world, according to a sommelier Paolo Basso in his book “Sommeliers heaven – The greatest wine cellars of the world”. 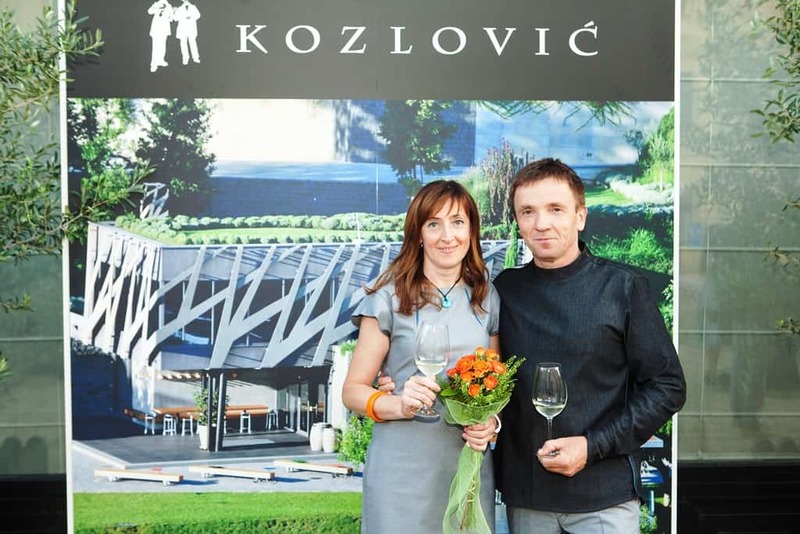 The Kozlović family is one of the biggest and most significant wine producers in Croatia. Earlier in June, we gathered on one of biggest wine summer parties held by a single winery. 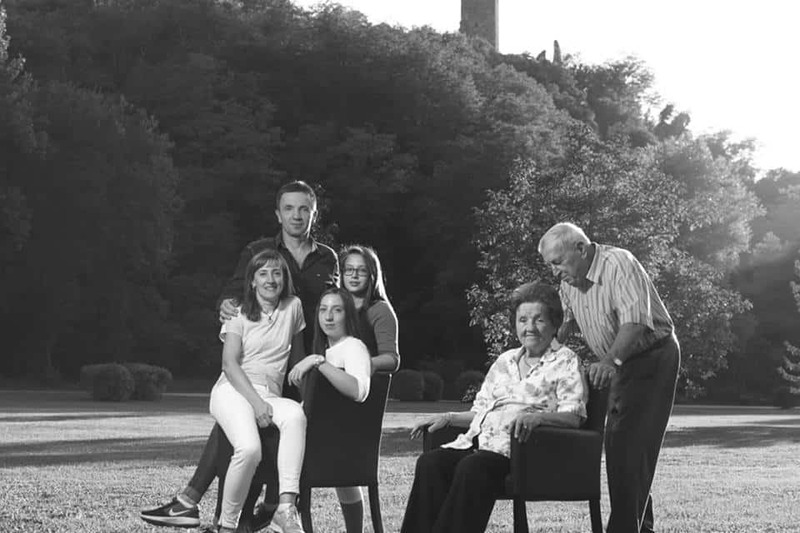 The Kozlović family gathered friends and business partners to celebrate wines and the official release of the new label – Santa Lucia White 2015. A signature Zagreb Hotel, the Esplanade Hotel Zagreb, was full of guests wearing orange details, the colour of the Kozlović brand. 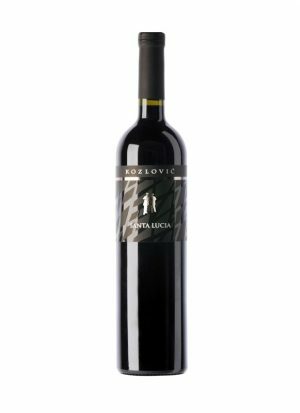 The perfect way to start this summer evening in Croatian capital was a glass of Kozlović Violeta 2016 made from the wild child of Istria, Teran, and Merlot. It is very tempting on the nose with seducing hints of violets with red fruits. Summer can’t go without a chilled glass of Malvasia Istriana, often called identity card of Istria. When made in fresh and easy-drinking style, it is often a synonym for a white wine in Croatia. 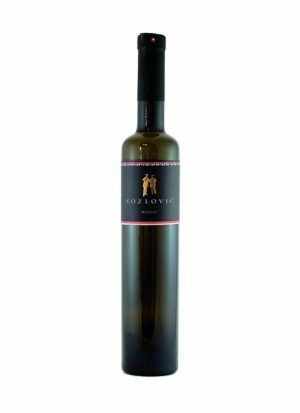 Malvasia is diverse in character and can be made in many wine styles but the one we look most often is perfectly shaped in Kozlović Malvasija 2016. Citrus freshness leads the nose with a zesty character in the mouth. 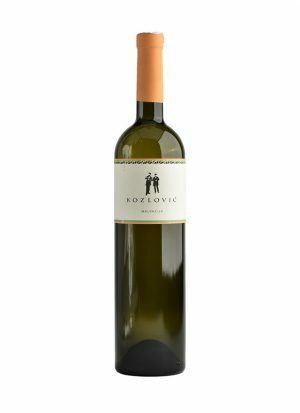 Followed by herbal tones, Malvasia from the Kozlović cellar has complexity, salinity, and minerality which makes it layered refreshment. Kozlović ultra-premium wine labels are made from grapes grown on the Santa Lucia vineyards positions – the Grand Cru Kozlović Vineyards. Santa Lucia is a special place where vines have been grown and proved to have the best results for generations. Malvasia Istriana vineyards here are more than 50 years old, capable of producing bold, rich and impressive wines. Santa Lucia white is one of them. We had a chance of premiere tasting at the Kozlović summer party held in Zagreb. Just released, Santa Lucia White 2015 is an aged and matured Malvasia Istriana. Special care is put into making such a great wine; harvested by hand only selected grapes to go to this premium wine. Aged in wooden barrels for 12 months and then matured for another year in a bottle, Santa Lucia White is now ready for the market. Mouth filling sensations, this bold white is richly textured. Layers of spices, citrus fruits, and nuts are exchanging on the nose and palate. Higher alcohol levels are nicely balanced with the firm body this white has. 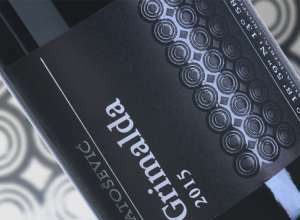 created to be one of the best Istrian red wines. Grapes are coming from younger vineyards as red varieties were planted on the Santa Lucia hills 10 years ago. The blend coming from positions, mainly known for Malvasia, is made only in exceptional years. The first vintage of 2009 had a spectacular success on the market. Santa Lucia Noir 2009 was sold out in less than 30 days! The blend of Cabernet Sauvignon, Merlot with 20% of Teran seemed like the formula for success of Super Istrian reds. Leather and spices, with the wild character of Teran, gives this blend unique Istrian signature and more playfulness to the blend. The body seems younger and more acidic but balanced, giving the wine a long potential for aging. Istria is known for a specific expression of Muscat that grows around Momnjan, labeled under the name Moscato di Momiano. Known for extracted, rich flavours of flowers, balanced acidity with rose and sage aromas this is a wine that appeals to both genders. Kozlović makes Moscato di Momiano dry, more intense on the palate than the nose. Not a show off wine as they like to say, rather a perfect aperitif! It is definitely time for Kozlović. Take a look at our webshop and your wines will be delivered in the next 5 working days. 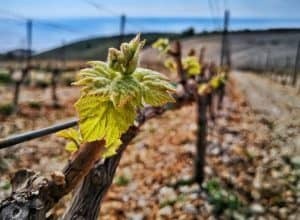 The Kozlović winery is located in the hidden valley of Vale near Momjan in Istria and has been founded on the family tradition of four generations of the Kozlović family.